To learn more about reducing stress as a family caregiver, contact Raleigh Geriatric Care Management, http://www.rgcmgmt.com, or call 919-803-8025. Call for your free 15 minute consultation. Obsessive-compulsive disorder (OCD) is defined in part by the Merck Manual as “anxiety provoking thoughts and urges.” While the publication (a staple in the medical field for years) notes that symptoms are not often prominent in the elderly, caregivers may disagree. 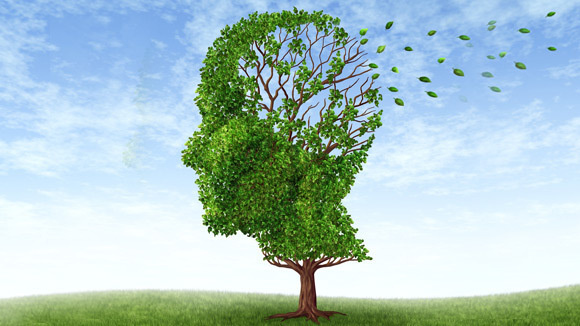 Early stage Alzheimer’s patients may obsess about minor issues, such as the garbage being taken out. In some cases, it may become a “chicken or the egg” question as to which came first, the OCD or Alzheimer’s. Since part of OCD involves performing repetitive tasks that balance the anxiety (using hand sanitizer repeatedly to avoid germs), it may not be immediately visible that there is an obsessive component to the elder’s thought process. Grandma may spend twenty minutes wiping out the bathroom sink after she has gone to the bathroom. Part of her extended cleaning out of the sink may be due to poor vision, or remembering something from a past not known by current family. Elder folks who can identify “habits” begin to disassemble the cycle of worry that accompanies OCD. Dorothy, who is well into her seventies and a former nurse, mentions that she has several “habits” that have cropped up since her husband passed away. “I’ll just go right to the refrigerator in the middle of the night, not turning on the light. That’s a HABIT.” She’s noted others, such as waking up several times in the middle of the night. During family visits, she wakes hardly at all, and concludes she’s conditioned herself to associating being alone with needing to wake up. It’s evident that the key to her dealing with these habits is making a connection; but more importantly, she has removed the anxiety component. Acceptance of these behaviors and the knowledge that she will break them when she chooses give her a sense of autonomy. Caregivers can work toward helping their older family members retain a sense of self-control by remaining calm when “habit” strikes. When Grandma spends 20 minutes cleaning the sink, she can be asked “What makes you do such a good job?” This will open the door for her to make her own connection as to why. The caregiver may learn about the past (“My grandfather was in the military and we had to make sure it was clean and sparkling”). Or they may learn about a contemporary occurrence (“I heard my son say the place is a mess. I don’t want him to think I’m a burden”). In either case, an artful question combined with a compliment may draw out information. It also allows caregivers to begin the process of reassurance which can decrease anxiety. OCD is designated as an anxiety disorder, and any type of stress reduction technique that is agreeable to the person and caregiver can help tremendously. Aromatherapy, guided meditation, relaxing music and changes in diet (like reducing caffeine) are alternative methods of stress reduction that may have some impact. Howard Hughes, famous eccentric billionaire, suffered from OCD. Those who have seen the movie “The Aviator” or who remember accounts from decades before have an idea of how bizarre this individual became. While most people live undocumented lives, we can look at the experiences of individuals in public power to relate to. The Anxiety Disorders Association of America (http://www.adaa.org/) has a great deal of information to educate the layperson on anxiety in OCD, as well as other types of anxiety. Caregivers may find themselves developing a generalized anxiety disorder in response to the OCD disorder for those they are caring for. Remember that when elders switch locations (moving in with a child, or to assisted living), they are going “out of the box” and stress factors increase. This increase in stress may turn Mom’s “habit” of cleaning when she is a little nervous into a full blown obsession over time. Work on the root cause, always. Compulsive hoarding or collecting may have developed from not having enough basic supplies during younger years. The cliché “salad days” may literally have meant that there were only vegetables from the garden to eat. A parent who always made sure there was plenty of food in the house may now not only have 65 cans of green beans (bought at scratch and dent warehouses), but stacks of newspaper coupons that are beyond the expiration date. Instead of cleaning house in one fell swoop, try getting the elder to focus on the abundant stores they have, and how they can help others who are less fortunate. Some caregivers may have tremendous stress when it comes to dealing with the situation. At that point, calling in the “cavalry” of friends and associates who offer vague help is in order. Any problems with compulsive hoarding require help. The Obsessive Compulsive Foundation has a website (http://www.ocfoundation.org/hoarding/) designed to guide caregivers. Support groups and other information can be found there. From that point, work on recruiting friends and family to help you with this issue. In the case of animal hoarding, the local Humane Society may be of help. Never, ever give any pet (hoarded or just a small excess) to anyone you do not know, or to any shelter that you do not know. Even caregivers can have some obsessive compulsive traits develop with the day-to-day caregiving of an OCD elder. Look through information to see where you may have borderline events, too. By working through your own, smaller issues, you may silently be helping your loved one. The best place to be as a child was in Grandma’s kitchen, especially when she’s taking a fresh tray of cookies out of the oven. Sneaking a bite of cookie dough was a must for any youngster. Grandma may have thought nothing of it then, but today, the risks of eating raw eggs are well known. 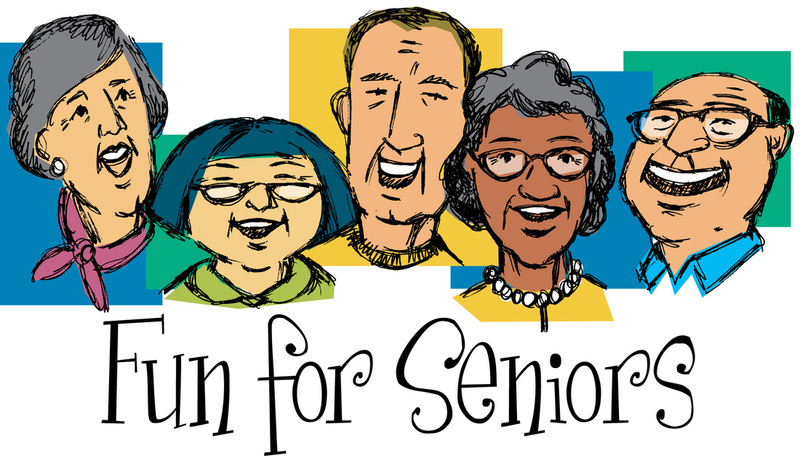 For seniors, these stakes are even higher. A caregiver may be today’s gateway to good health for their loved one, starting at the basic knowledge of food safety. It’s safe to say that the way the world “goes round” in 2010 is much more advanced than it was 10 years ago, at the turn of the century. A decade can make a big difference. In 2000, the Internet was just taking shape. Today, it’s a necessity for almost all people’s daily lives. So, if a decade can change things, what about four, or five, even more? Some loved ones may be reaching into their 80s or 90s, and in the 1950s or 60s, when they were raising their families, doing most of their own baking and cooking, life was a lot different. The way food is produced, harvested, distributed and prepared has evolved hand-in-hand with technology. Scientific advances have shown that new and dangerous bacteria and viruses can be found in foods; these microorganisms were not even known years ago. Food modification, mass production and mass distribution have led people away from homegrown, fresh vegetables and meat, leading almost all to rely on others, even those long distances away, to provide for their daily nutritional needs. Science has identified illnesses that can come from food, as well as ways people in the later years of life are more susceptible to contracting foodborne health issues. A caregiver has the responsibility to know and respect the way a loved one used to live, while teaching and helping them understand the way they must live to be healthy today. Foodborne illness, also known as food poisoning, can be serious, even fatal. According to the Centers for Disease Control and Prevention, every year 76 million people fall ill, 325,000 are hospitalized, and 5,000 die from food-related infections and illness in the United States. Many of these victims are very young, very old, or have weakened immune systems, unable to fight infection normally. Seniors have always been grouped with the “women and children” crowd. This has been for good reason; they are able to catch germs easier and also hold onto them longer. Age causes changes in a body, slowing the food digestion process. The stomach and intestinal tract process foods slower, and a loved one’s liver and kidneys are slower to rid their body of toxins. This even alters a person’s sense of taste and smell. Added to the natural effects of aging, all chronic illnesses, and medications, and the unwelcome addition of food poisoning can become very serious very fast. Vigilance when handling, preparing and consuming foods is important for a loved one to have. For caregivers, awareness and education are crucial. Teaching a loved one when to recognize they are experiencing a negative reaction to food will help identify the problem after the fact. First, caregivers must understand that there is a wide range of time that can pass between eating food with harmful bacteria and the onset of symptoms. Usually, foodborne illness takes one to three days to develop. The common assumption is that it’s caused by a person’s last meal. This may be true, but not necessarily. There are many factors to consider, including the type of bacteria which was in the affected food. The range of time could be from 20 minutes to 6 weeks, at extreme circumstances. Even then, it’s possibly a different illness. Some common symptoms of food poisoning are feeling sick to the stomach, vomiting or diarrhea. Others could be flu-like, including a fever as well as head and body aches. Professionals suggest a caregiver check with their loved one’s doctor if they suspect food is to blame for an illness. It used to be all foods were grown at home. Today’s younger generations are trying to return to a semblance of that lifestyle; but for most, climate and convenience will never leave them completely independent for all food. Many elderly loved ones will remember the days gone by when they ate the same potato they dug the hole in the ground for and planted months prior. There was no need to worry about exactly where food came from. Because of this, a loved one may have a greater trust for food than the rest of society, or greater distrust. The U.S. Food and Drug Administration offers some guidelines for proper food prep at home. First, “clean.” Wash hands and surfaces often and well. Bacteria can be found throughout a kitchen, including on utensils, cutting boards, sponges and countertops. Use warm water and soap for all washing of hands and cooking supplies. When cutting boards develop worn and hard to clean surfaces, they should be replaced. A loved one may consider paper towels just extra waste, but they are very good at preventing bacteria buildup. “no-no” is putting cooked food on the same plate the raw was on previously. Bacterial residue on the plate could contaminate the cooked food. After separating, “cook” foods to proper temperatures. The FDA explains that foods are cooked safely when heated for a long enough time and at a high enough temperature to kill the harmful bacteria. There are many guidelines available for temperatures to watch for when cooking a variety of foods. Visitwww.fda.gov/Food/ResourcesForYou/Consumers/Seniors/ucm182679.htm for more information. Finally, the FDA advises seniors to “chill,” and not in the way a teenager would mean! While stored at room temperature, bacteria in food may double every 20 minutes. Caregivers should teach a loved one to refrigerate foods quickly to keep bacteria at bay. Many people believe it’s not good to put hot food in a refrigerator, but the FDA says it keeps a person safe to do so. With some simple guidelines, a caregiver can show their loved one how to eat safely at home and avoid problems down the road. The McDonald’s trend hit the United States in the late 1950s, and has grown into a full-blown way of life since then. No longer is eating out a “treat” for a special occasion, such as a birthday, anniversary or first date. Sure, people may still dine at a fancier restaurant for those times, but grabbing a sandwich or salad is a regular habit. Today, nearly 50 percent of the money spent on food goes toward meals that other people prepare. The trend in restaurants today is leaning toward large meal portions. Many seniors end up packing the leftovers to take home. The FDA advises that if the leftover food will not be refrigerated within two hours of leaving the restaurant, it’s safer to leave it there. Some senior centers across the country won’t even allow food to be taken home because they know of the dangers when food is left sitting out too long. Unpasteurized or untreated fruit or vegetable juice. Reading labels is becoming more and more essential for all age groups. Many people have adverse affects from the ingredient MSG, especially those in the senior community. The other labels to look for are the open dates on raw foods such as meats, eggs and dairy products. Most important are the “sell by,” “best if used by,” and “use by” dates. Caregivers can teach their loved one how to read these labels and also check refrigerators to ensure food has not gone bad and poses a problem for bacteria growth. Raw meat, poultry and seafood should also be placed in a separate plastic bag, so the juices do not leak onto other groceries. Buy only pasteurized milk, cheese and other dairy products. Teach a loved one to buy only eggs from the refrigerated section of the store, and check canned goods for dents, cracks or bulging lids. With a few small tricks and tips, a caregiver can encourage a loved one to eat good, nutritious meals safely.